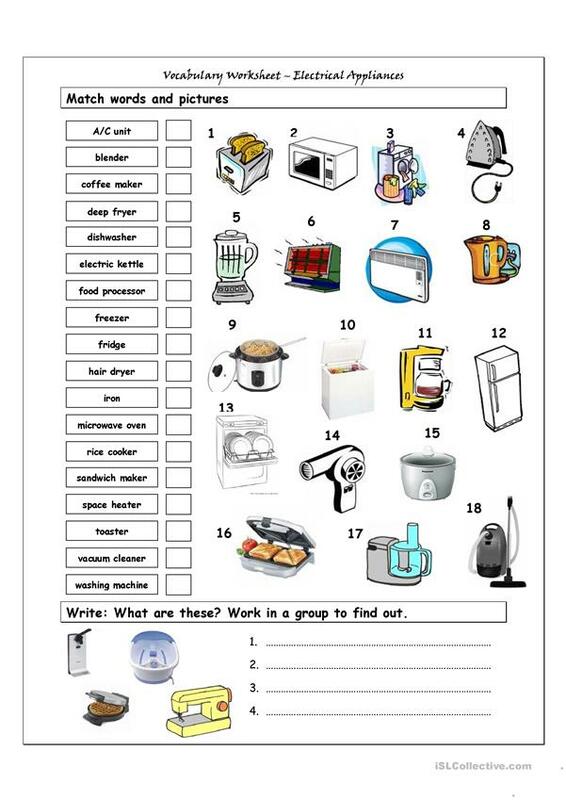 Vocabulary worksheet containing HOME APPLIANCES. It has two sections: Match words and pictures (matching exercise) and Write the Words (creative exercise). Final part answer key: tin opener or can opener, foot spa or foot bath, waffle maker, sewing machine. This downloadable handout is best suited for high school students, elementary school students and adults at Elementary (A1), Pre-intermediate (A2) and Intermediate (B1) level. It focuses on the vocabulary topic of Home. You will find the answers at the end of the worksheet.